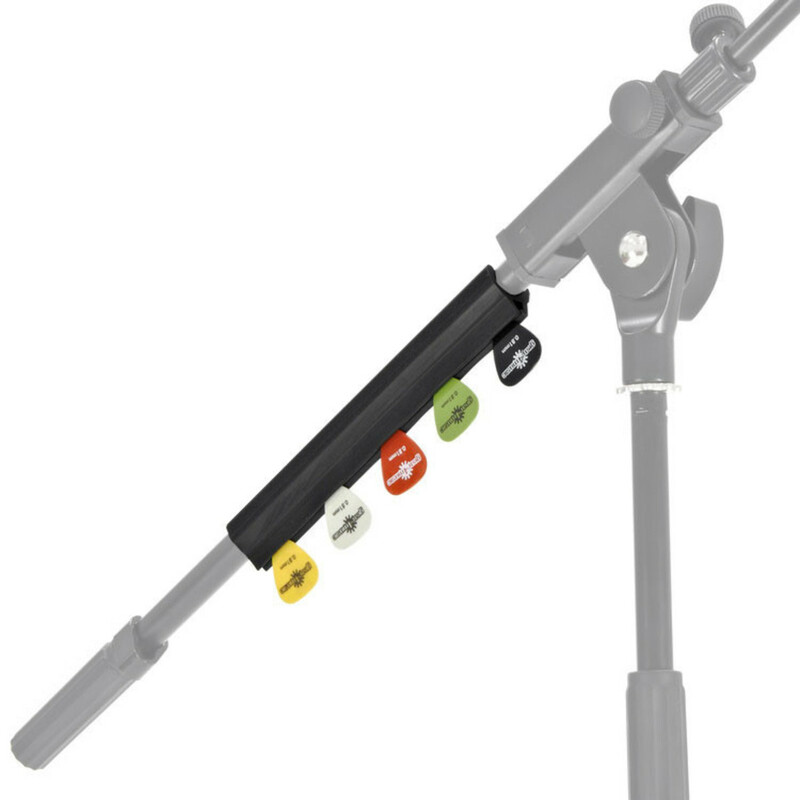 Mic Stand Pic Holder by Gear4music - an essential piece of stage kit for any singing guitarist, keeping spare plectrums in a place where you can easily grab a spare in mid performance. Simply fit it to your mic stand and push plectrums into the rubber slot. A cheap and convenient on stage solution. This great quality accessory is ideal for any singing guitarist. 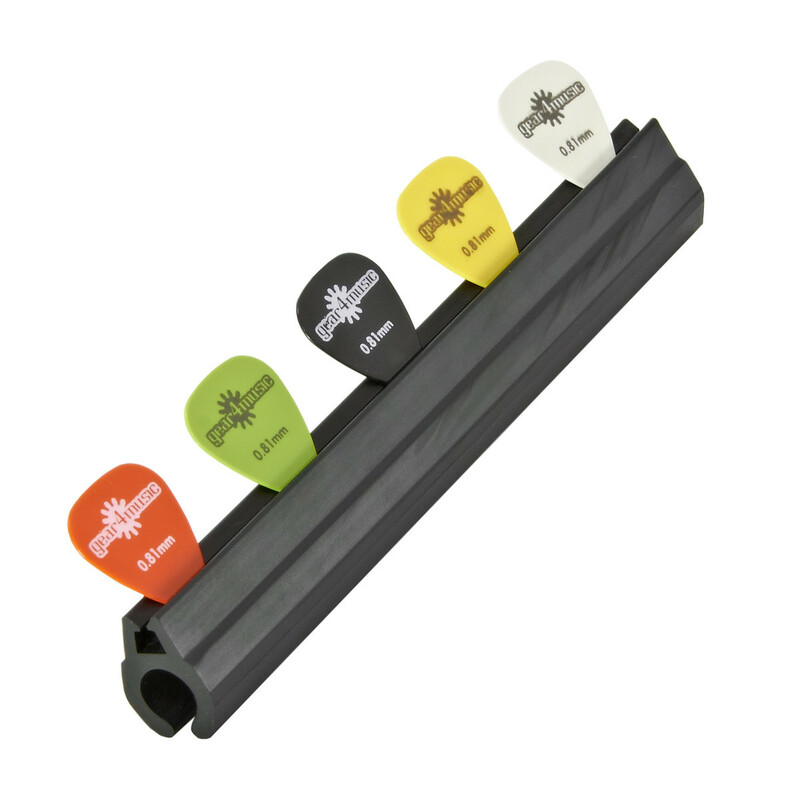 Capable of holding up to 8 plectrums, this pick holder puts your spare plectrums in a convenient and easy to reach position. Made from long lasting flexible rubber, this great quality holder is a universal sized, and fits most types of mic stands. This great value accessory also comes with 5 FREE 0.81mm plectrums.